Total Carat Weight: 0.87 ct. These drop earrings have incredible gemstone color and sparkle! 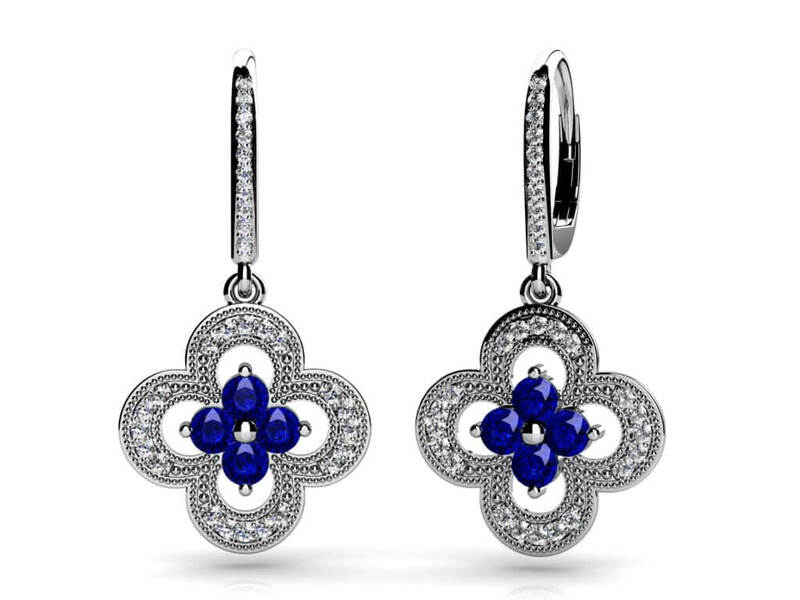 The dangle portion of these earrings has an open flower shape that surrounds a center section with four round gemstones. The addition of millgrain edging around each flower adds a charming and vintage look. 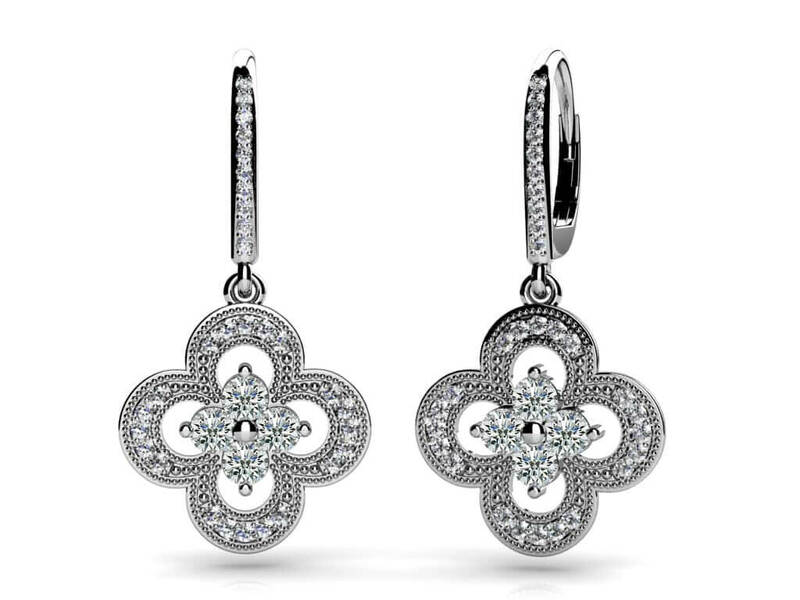 A diamond lined snap hook will hold these beauties secure in your ear. 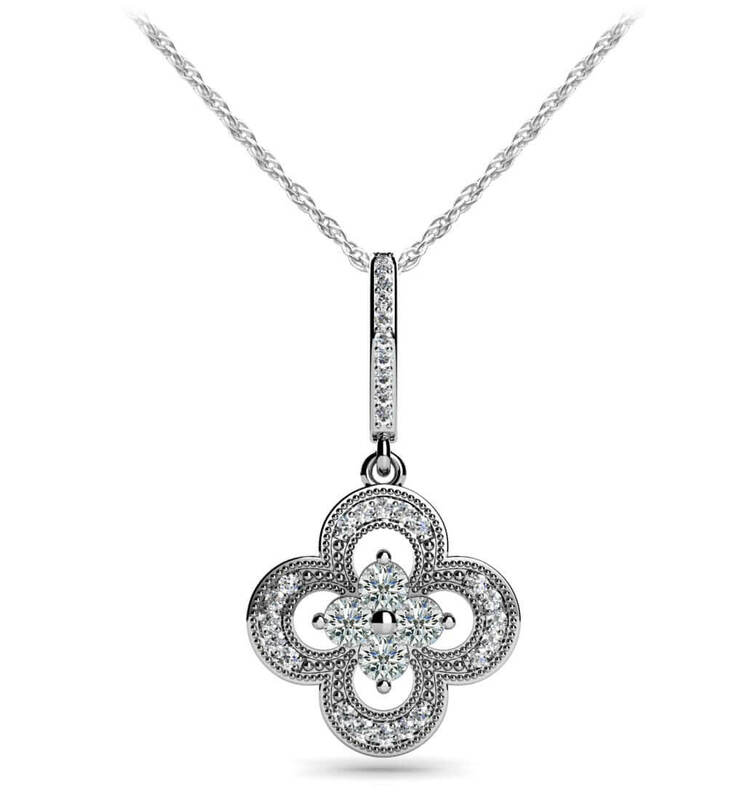 Choose from your favorite metal type and three carat sizes including .87, 1.26 and 1.50 options. Model Carat Weight: 0.87 ct.
Stone Carat Weight: 62X.005 ct., 8X0.070 ct.